Learn how to navigate Microsoft Excel 2016 and get an overview of its basic tools. Prerequisite: Familiarity with a computer, keyboard, and mouse. 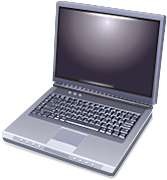 Each participant will use a library laptop. Please register, as class space is limited. This entry was posted in Adult News, Library Announcements on April 16, 2019 .